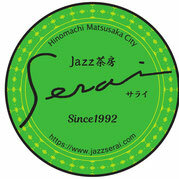 Serai is an only authentic jazz live house in this area. The charm of Sarai is the specious audience seats and good sounds at any seat in the house. 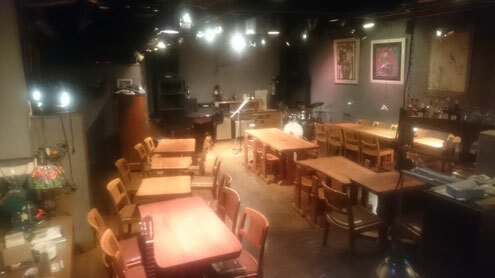 Interaction with musicians who finished performance is also one of the enjoyment in the live houses. We open as a jazz cafe every afternoon from Wednesday to Sunday and as a jazz bar every night from Wednesday to Saturday with no scheduled live events. 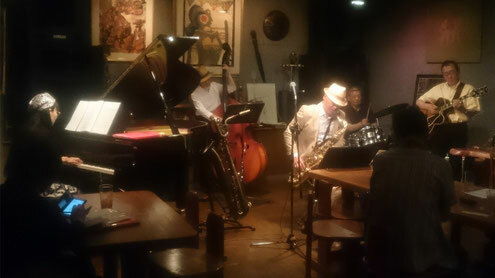 You can spend your own quiet time while listening to jazz music, and enjoy talking with friends to the extent not to bother other guests. 〒515-0084　Sunny Bldg.2F, Hinomachi604, Matusaka-City, Mie Pref.